PrimaLuna was established in 2003 by Dutch high-end distributor Herman van den Dungen and the company’s reasonably priced, innovative tube audio equipment quickly captured the hearts of critics and consumers alike. It’s no secret why. With more than 30 years of experience in the areas of design, manufacturing, import, export, retail and post-sale service, van den Dungen knew exactly what he wanted to bring the field of high-end audio: a company that produces affordable, reliable yet highly advanced components. Clearly, Herman van den Dungen accurately assessed the market. PrimaLuna has quickly forged a stellar reputation across the globe, becoming one of high-end’s most recognizable brands. 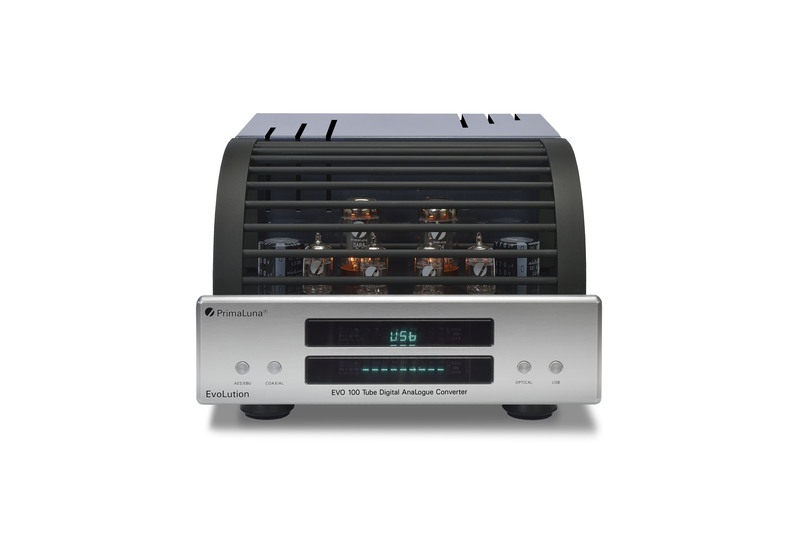 Specialty audio magazines such as The Absolute Sound, Stereophile, HiFi News, HiFi World, AudioReview and Sound & Vision have heaped praise upon the company’s gear. The guiding principle behind PrimaLuna – that all facets of the operation be exceptional – applies not only to the products but the people behind them. Van den Dungen ensures that everything and everyone associated with PrimaLuna be top-of-the-line. So the company offers brilliant designers, superior manufacturing, and a first-class sales and follow up network and it does so while maintaining product affordability. We are thrilled that in such a short time, skilled distributors and savvy dealers across the globe now recognize the potential of the PrimaLuna brand – for themselves and their clientele. – Most have been involved with high-end 25 years or more; however, in emerging hi-fi markets we’ve chosen strong personalities able to become the audio leaders of the future. – They have senior influence in high-end. – They have searched the world for products without equal and tested them for excellence. – They are well-versed in the nuances of tube audio. – They are driven by a desire to share their expertise with others. My Primaluna Prologue Eight displays errors (no disc or error) when I load CD’s. Any idea how to resolve this? Is it just dust on a detector? Or can it just be a tube??? Please send an email to Michiel at service@durob.nl. Thank you for message and good to hear you like your system. Have a great day! Can I use tube KT120 and KT150 of my amplifier “Prologue four” without modification of the amplifier? 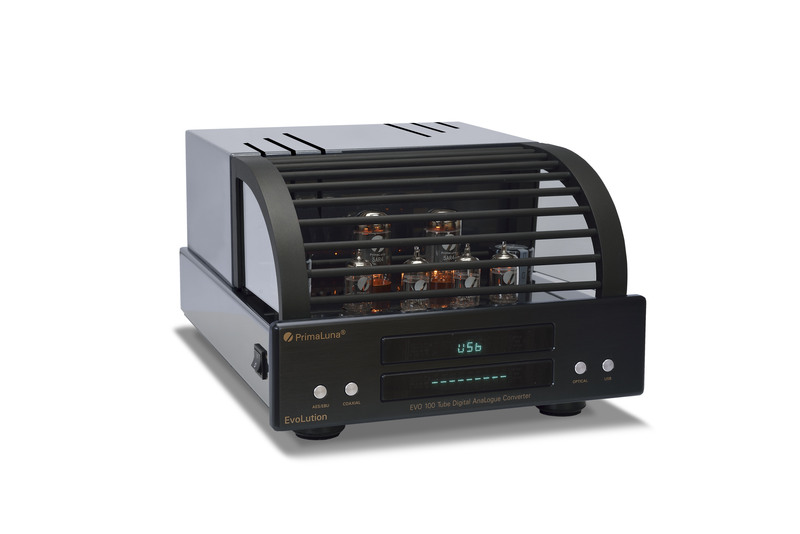 Dear Ilia, You can use KT120 tubes in your amplifier. The KT150 you can use in the ProLogue Premium, DiaLogue Premium & DiaLogue Premium HP amplifiers. I have owned a pair of B&W cdmnt7 loudspeakers for approx 18 years and I have literally never used them until now. I was never able to power them properly. I opted to use thier little brothers instead as they are a pair of B&W 620 4 ohm speakers. With my set up using an adcom gfa5400 they outperformed the cdmnt7’s. That is until my local dealer offered to audition a primaluna prologue integrated amp at my house with my speakers. Lets just say that the amp never left my house. I ordered my own and am excited to receive it soon, as it is on back order. I have added a peachtree audio dac to the amp and am utterly amazed at the sound I get out of this system. I dont even watch tv anymore, and all I do is sit and sample new music for hours. Thank you for your dedication to quality, and customer service. You have a client for life. I do have a question. I would like to upgrade my speaker cable as well as my interconnect. I understand that B&W has good quality crossovers so I am thinking of single cable bi-wire. Is there a brand, model, type of cable that you find matches well with my set up? I can not afford the best that money can buy so I am looking for something that will make a difference but not require financing. Again, thank you for making such an amazing product. Thank you for your reply. I was wondering if you could answer another question or two. I am hearing differing opinions on whether to plug the PrimaLuna Integrated Amp into a surge protector/line conditioner or not. One opinion from my rep that I have received is that doing so could rob the unit of power and that the transformers are sufficient to fend of a power surge. I would love to hear your opinion on this. Also, could you weigh in on single cable bi-wire vs straight, specifically with B&W CDM7’s. I hear from some that it makes no difference but I hear from others that B&W has good enough crossovers where it does make a difference. Any thoughts or opinions on this? Thanks again for your personal attention. It is refreshing to be able to get this type of opinion and advice from the creators of a terrific product. If the protector/line conditioner is not too small and it is not limiting anything, it can be an advantage. That said, the current PL amplifiers have already am offsetkiller circuit build-in. So a part of the job of a protector/line conditioner is already done. You can ask service@durob.nl about the AH! single OffsetKiller. Biwiring has been populer for a while, now single straight wiring is most common. What YOU like best, is the best choice. I have a problem with my Prologue 2. I am running kt120s for a while and no after serval months the volume goes very loud but no one touched the volume control. Any thoughts on what might be causing the problem? i’m totally wondering to purchase integrated Dialogue Premium HP to be matched with my Sonus Faber Venere3 . the point is that I’m living in IRAN and it seems there is no agent or dealer of Primaluna products… I’ll appreciate to guide me in proper way to purchase your gear with reasonable price not retail ones ? Thanks for your kind reply, I got contact with this gentleman and happy to hear that your products in IRAN is available. My current speakers are Sonus Faber Venere 3 running with Primare PRE+Power+CD player. I’ll appreciate to have your technical recommendation regarding best choice of integrated and separately pre+power to be matched with my speakers. Recently may PL Prologue One got one of it´s output transformers burned, after being left turned on for a whole afternoon. Don´t know yet if it was a problem with a tube or due to overheating…. Anyway, i´m having a lot of trouble to find a substitute part…and i´ve been told also that a release about new fuses for this amp had been difused by PL to prevent this from happening, buit never saw it. So, my question is How can i buy a new transformer, ans what should be the value of the fuse to prevent this fom happening? Hi There i own a prologue one need to change the tubes. could anybody tell me which nos tubes give the best result? and is it true that you can put the kt88 r 120 or 150 in the prologue one or does it needs a adjustment and so what kind of ajustment? Hi! What capasitors are used in the Primaluna Dialogue Premium Preamp? I ran into problem last night with my Prima Luna Prologue Premium power amp. I found old KT88 tubes and decided to give them a try. One of them blew instantly (red glow) and the Bad Tube indicator was lit. I immediately turned the amp of. I changed all the tubes for new ones including front end and now the amp is dead silent. The power turns on (front light led is on) and all the tubes are lit, but there is no sound. Is it possible that the amp is now in protective mode and can’t reset itself for some reason? No smoke or any kind of strange smell came out of amp. If the amp circuit is locked in the protective mode, do i need new circuit or specialists to reset it? All has been handled by our service department, correct? I recently auditioned the Primaluna Prologue Premium with ProAC Response DB1. I was advised to give the ATC SCM 19 V2 a test. I was told that the ATCs’ are very particular with regards to amplification. My question, which is a better match for the Prologue Premium , ProAC or ATC ? That’s something only YOU can decide. Long ago I hear models of these brands, but both could be very, very impressive. Good choice to start with!